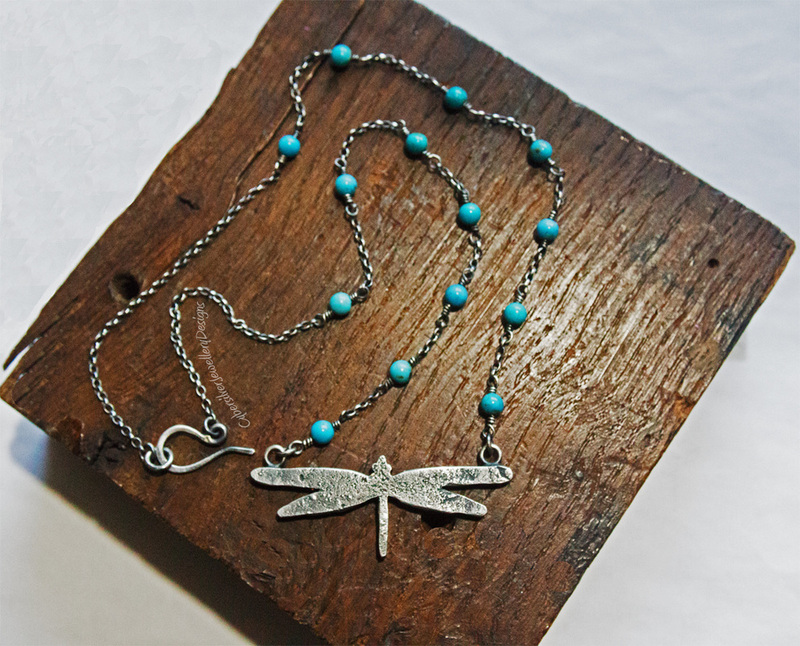 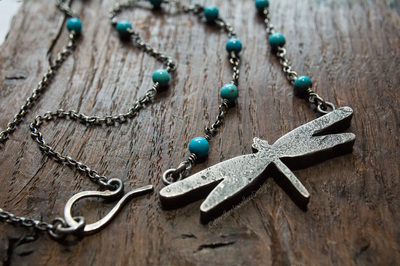 A really chunky rustic dragonfly necklace set with genuine turquoise beads. 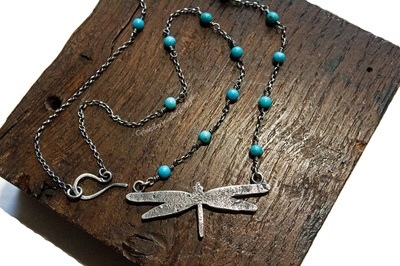 He has been hand cut from really thick recycled silver and each bead has been meticulously hand wrapped with sterling silver wire. The silver has been oxidised, highlighted and sealed with a microcrystalline wax which helps to protect the oxidised surface. Oxidisation is a surface treatment that can continue to lighten with wear. 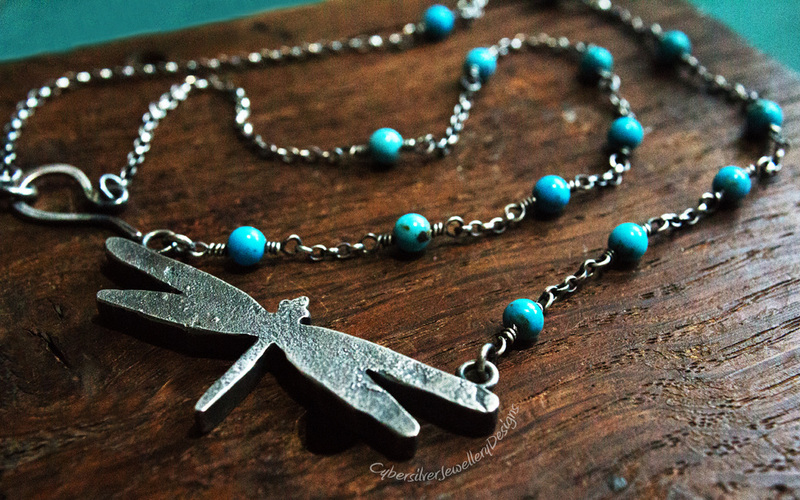 The chain is finished with a handmade clasp.